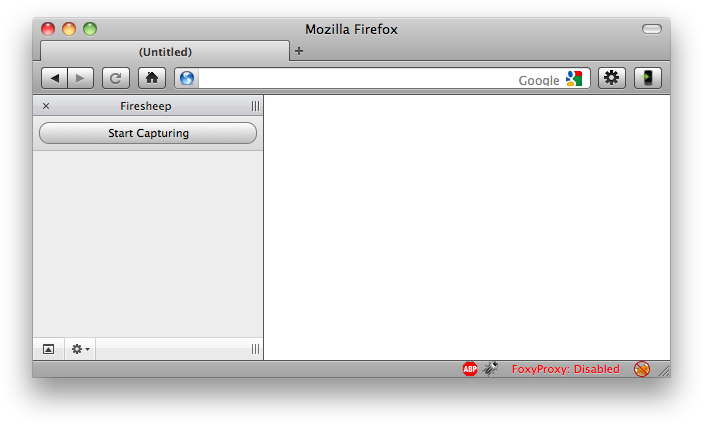 Firesheep is a Firefox plugin that has been downloaded millions of times. This plugin is totally passive network monitoring at its easiest. Its been pre-programmed to sniff for certain usernames of passwords for pre-defined sites . This Plugin will help you hack peoples account. See how the plugin works. This is a widely known problem that has been talked about to death, yet very popular websites continue to fail at protecting their users. The only effective fix for this problem is full end-to-end encryption, known on the web as HTTPS or SSL. Facebook is constantly rolling out new “privacy” features in an endless attempt to quell the screams of unhappy users, but what’s the point when someone can just take over an account entirely? Twitter forced all third party developers to use OAuth then immediately released (and promoted) a new version of their insecure website. When it comes to user privacy, SSL is the elephant in the room. 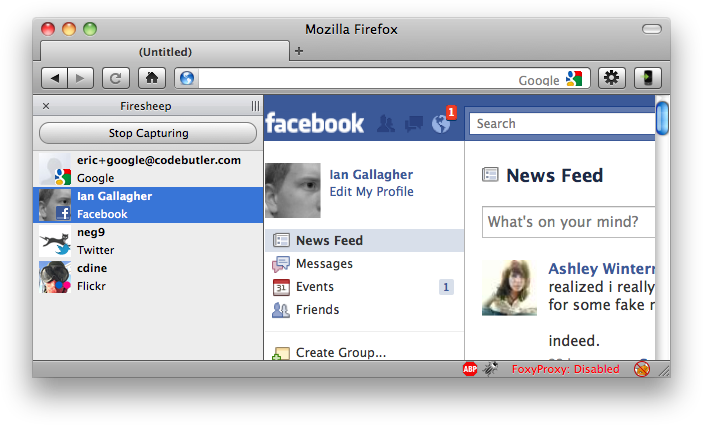 After installing the extension you’ll see a new sidebar. Connect to any busy open wifi network and click the big “Start Capturing” button. Then wait. 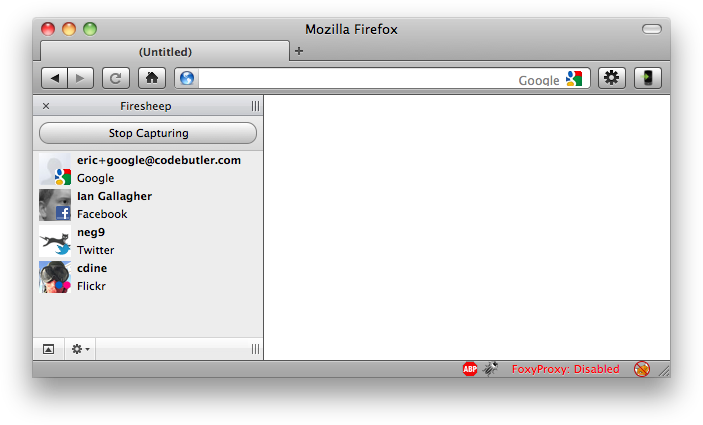 Firesheep is free, open source, and is available now for Mac OS X and Windows. Linux support is on the way.